Planning a family getaway or a group outing in Elmhurst? 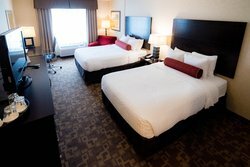 There’s space for everyone in the 1 King Bed, 2 Double Beds, 1 Bedroom Family Suite. Take advantage of the expansive space and versatility of this suite! 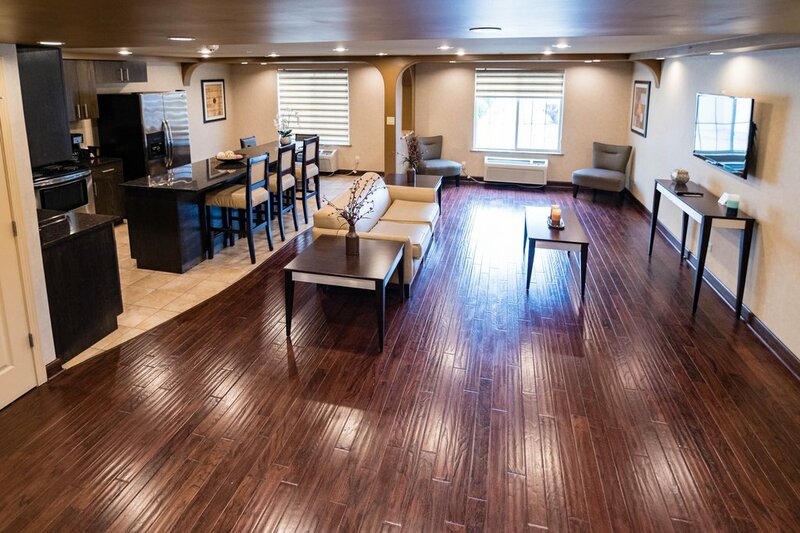 The Family Suite gives you a taste of apartment-style living in the Chicago suburbs, with 850 square feet of space for your group of six. There is one king and two double beds upstairs, along with a full kitchen, dining area, and living room on the first floor. 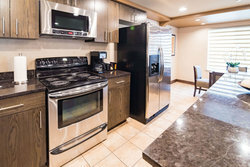 With a stove, oven, sink, dishwasher, refrigerator, and microwave included, the Family Suite offers you a home away from home option during your stay in Elmhurst. Going above and beyond your standard accommodations, use our Family Suite for more than just a place to sleep in. This room option is also ideal for intimate gatherings and small meetings, such as job interview training or a private Bridal Suite for getting ready during your special day. 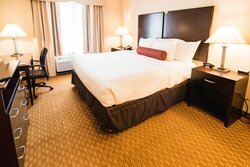 Designed to meet all your needs, this expansive suite provides you with everything you'll need during a stay in Elmhurst.